Portland, Oregon January 28, 2010 -- Celebrity doctors attract high-value patients, get book deals, CNN expert spots, lucrative speaking engagements, and earn ten times the norm; but how do they win that celebrity status? Publicity and branding experts report high-visibility doctors are as adept at publicity and personal branding as any Hollywood film idol or rock star politician. The new book Fame 101 (Sutton Hart Press 2010) identifies a mix of powerful personal branding and celebrity-level publicity as the common formula of America's super-successful class whether Rachel Ray and Suze Orman, or medical superstars like Dr. Oz, Sanjay Gupta, Nancy Sniderman, the diet Docs, the leading MD in every city, and others in the profession's elite 1%. The good news for any physician seeking to become a leading voice of their specialty, notes the book, is that any talented doctor can use the same success recipe for themselves to dominate their field. "Americans want ultimate health, eternal youth, and were fascinated by celebrities; this drives the interest in and demand for high-visibility doctors," said Fame 101 author Jay Jessup. "Business-minded medical practices capitalize on this and brand & publicize their doctors to the Doc Stardom we see on the talk shows or speaking at local charity events." 1st -- Learn to speak like Sanjay Gupta. Media and speech training can give you a powerful mix of informative storytelling skills and sharp compelling messaging. "It's what initially differentiated candidate Barrack Obama and it is why Sanjay Gupta is America's most trusted physician," said Jessup. 2nd -- Publicize like Dr. Oz. 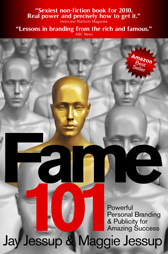 Fame 101 explains publicity is a necessity to win local news or an Oprah connection. The media loves a well-packaged personal brand and can make you a national brand if you're message is valuable to their audience. "Who knows if Dr. Oz is a great doctor? I suspect there are 1,000 just as qualified but it's Dr. Oz who ten million Oprah viewers look to for medical information because he has great publicity skills," noted the author. 3rd -- Write a book. Fame 101 notes Americans elevate authors to a higher status. "A book is the ultimate personal brochure and a doctor with a book deal is branded as credible, skilled, and offers clients the cachet of being looked after by a 'celebrity'," said branding expert Jay Jessup. "Not everyone can have a television show but a Boston oncologist, Dallas plastic surgeon, or Los Angeles aesthetic medicine specialist can easily publish a book." "Want to see who's next?" asks Jessup. "Just look at who is giving expert opinion on your local news channel, penned a new book on the latest medical diet, or who simply speaks with an exceptional sound of intelligence -- they are the next Gupta or Oz. They brand, train, and publicize to create a high-trajectory career." About the Author: Jay Jessup is America's leading personal branding expert. He works with elite professionals, scientists, business leaders, startup gurus, and others who want to harness the power of a compelling personal brand.  Jay heads Platform Strategy, an award-winning publicity and branding boutique.